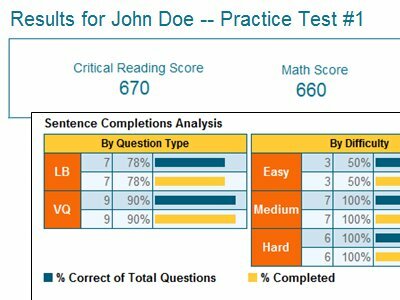 StudyPoint, a leader in private SAT tutoring, has created an SAT practice test scoring tool that enables students to score & analyze official SAT and ACT practice tests. You can score up to 10 actual SAT exams and 3 actual ACT exams. Our system makes it easy to calculate your score. You'll receive an answer key, detailed break-down and analysis of your test performance based on question type, difficulty level, and section. Use your results and detailed analysis of your test performance to pin-point those areas where you need focused review and more practice. You can take and score additional practice tets to track and evaluate your progress. All results are stored on your Scoring Homepage. Signing up just takes a minute and you will be brought to your own personalized scoring homepage. 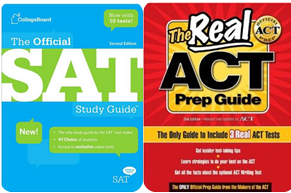 Use The Official SAT Study Guide or The Real ACT Prep Guide & take one of the practice tests in the book. In your Scoring Homepage, find the practice test that you took and select it to be scored. Scoring your test is easy! Just input your responses and press submit to get your scores and analysis! Copy and paste the link text above into your webpage or blog to share this tool with others.